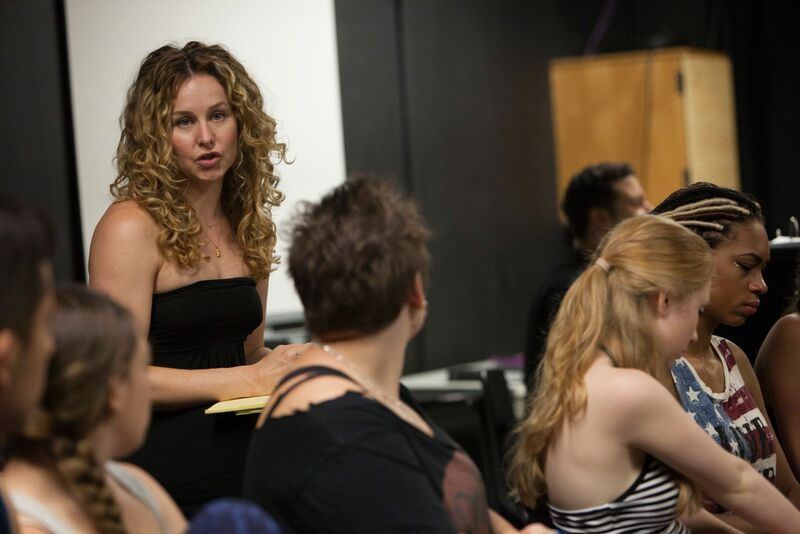 AMDA’s illustrious alumna Chandra Lee Schwartz has landed a starring role in a world premiere...again. A veteran of Broadway, Chandra now takes the L.A. stage to lead in Café Society, a satirical glimpse at urban Los Angeles and the all-too-real characters who inhabit it. Written by Emmy Award winner Peter Lefcourt, Café Society premieres at the Odyssey Theatre in Los Angeles from August 22–October 11. Chandra plays Kari Shaw, a fame-hungry aspiring actress from the Midwest looking to make it big in Los Angeles—no matter what. So what’s the difference between starring in a world premiere versus an already famous production? According to Chandra, not a thing. Speaking the day before opening night of Café Society, we couldn’t help but ask if Chandra still got nervous. Her response? Not a chance. *Café Society premieres at the Odyssey Theatre in Los Angeles from August 22–October 11, 2015. Reserve your tickets at plays411.net/cafe.